Long time no talk. Did you notice I was MIA yesterday? Are you wanting to hear about how my first blogger meet up went?! Well, this girl caught an awful cold over at the end of the weekend and was home from work yesterday resting up, popping cough drops like pills, watching not many all episodes of Most Eligible Dallas, and going to the doc's. That expains my absence yesterday. My throat is still killing me, but I'm pushing through it because I HAVE to get better ASAP...we have a wedding out of town this weekend and hubby is the best man. I can't be coughing my lungs up at the head table all night. So, I made a big juice this morning in our juicer and am downing liquids left and right. This cold better go away soon. This past weekend was amazing. It couldn't have gone any better! I'm happy to report to you all that Jess is in fact exactly who she portrays - a sweet, caring, southern belle & not a Lifetime serial killer like Billy and I once questioned. I kid. I kid. Seriously though, she was exactly who I thought she was. We even color coordinated our outfits on Friday night (which was not planned) and shared a big laugh about that. Anyway, October is Breast Cancer Awareness month. By now you all know how much breast cancer has made an impact on my family and I. If you are a new reader-I lost my mom and 3 aunts to it. It's so important to me to spread awareness and remind everyone how important it is to get checked out from time to time. It's also a time to remember our loved ones that we've lost. Last week a lady came into my office and shared with me that she was very good friends with my Mom back in the day. Granted I have met this lady before, but I don't really remember her because I was so young. She told me that my Mom was her maid of honor in her wedding and my Dad was a groomsmen. She stood at my desk for a while and told me how wonderful a person my Mom was and how proud she would be of me. I can't tell you how much small gestures like this mean to me. a picture of my Mom and Dad from this lady's wedding day. Back in 1983...gotta love the outfits. Dad looks particularly good with that stash and in a baby blue from head to toe. Mom looking beautiful as always. How sweet is she for sending me this? Small acts of kindness really are the best. They inspire me to take 5 minutes out of my day to help someone else. Whether it's buying a cup of coffee for someone in line behind me, holding open a car door for someone, or just to let my family & friends know how much they mean to me. This month I'm going to try do as many acts of kindness to others as I can...all in honor of my Mom & aunts. 1 in 8 women will develop breast cancer over the course of her lifetime. Join me this month to spread the kindness and the awareness. 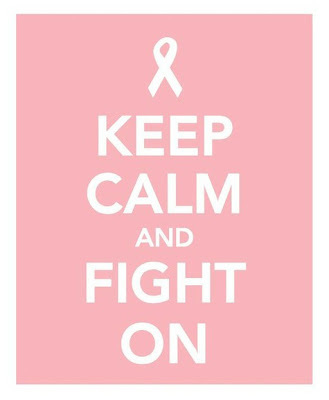 Even if it just means to blog about breast cancer awareness. Want to get to know me a little more? If you haven't been reading my blog for that long, or maybe you never saw this certain post, please go check out this post & this one. The first one I wrote when I first started my blog & it is one of my favorites to read for many reasons. I will be back tomorrow with a fun recap. That is such a sweet gesture. How cool to have that picture. Your parents look like the nicest people in the world. Your weekend looks like it was a whole lot of fun! Can't wait to read on tomorrow. Feel better! Katie, your mom is beautiful. What a sweet gift that lady gave to you. There are tears in my eyes just thinking about it! Sending a hug your way. Oh, that picture brought tears to my eyes! I can't imagine how overwhelming it would be if I were in your shoes. Your mother was beautiful (almost like a mix between Sarah Jessica Parker, and Mayim Bialik..in a good way, obvi!). This post made me laugh (picturing yall's weekend shananigans in my head), then want to cry. I also lost my aunt and one of my mom's best friend's to breast cancer. Check out my post from last night. I think you'll like it. :) That was such a sweet gesture from your mom's friend. 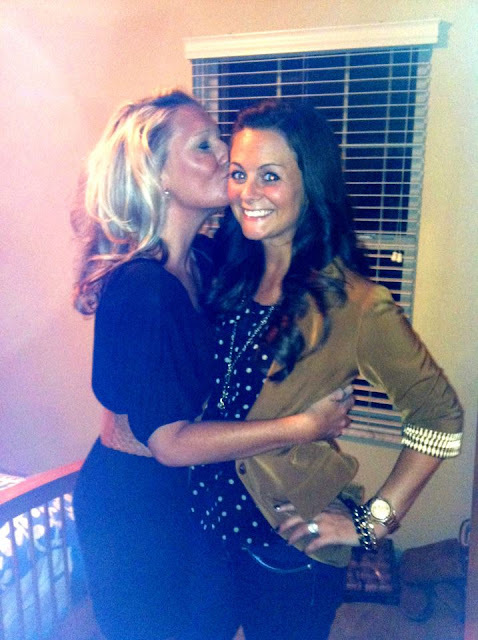 Im so glad you had such a great time with Ms. Jess ... next time I must hang out!! O girlie... you made me cry and laugh at that Fab dress and tux!! P.S. My daddy and all of his groomsmen wore baby blue tuxes with the ruffled shirts in my parents wedding. CLASSY!! This post made me so happy. I too will make some extra small gestures this month - in memory of your momma and aunties. My mom had breast and ovarian cancer - at the same time - and I'm still struggling to understand it and while she is in remission now, it makes me feel a little of how you must have felt. It helps to read your words and know that I'm not the only one. Little gestures are healing. Thank you for being so honest about what you when through - and also thank you for being hilarious in 99% of your posts too! awww that just made me tear up. HOW SWEET of your Mom's friend to do that for you. One of my best friends lost her mother to breast cancer our senior year in high school, so this cause is near to me as well. Those outfits are fab! hahaha love the 80s! I also love the coordinating outfits you two crazy kids are wearing, I can't wait to hear more about the weekend. Y'all are gorgeous! Thats such a nice gesture! Try this tea that my family SWEARS by. mix together in 1 cup water, heat in microwave. Just wanted to stop in and say that I know how it is to lose a parent. And I too know exactly how you feel to have someone who knew them tell you how they were and that they would be proud of you! Its amazing how God can put that on people's hearts to bring that blessing to us. And as far as breast cancer goes, I, for the first time, participated in the "race for the cure" in downtown Charlotte this past saturday. I have been fortunate enough to not have anyone affected by it so far, but I wanted to go and help raise money and awareness, because you never know. One day, maybe someone I love will be diagnosed, and I want to know that I did something to help. It was so touching and such a blessing to be a part of. The whole thing was just so emotional to see all the survivors and also see all the family and friends there in memory of those lost. It was beautiful and I will definitely be doing that every year. We may not know each other but you and your family will be in my prayers! It was so nice of that woman to give you that picture of your parents! I love it when someone reminds me just how my dad touched their life, it just makes me warm and tingly as I'm sure this did for you. I agree that it always inspires me to go out of my way to do something small for others. Buying coffee for the person behind me is one of my favorite gestures!! Especially throughout the holiday season! Hope you're feeling better and thanks for the reminder...I can only imagine what you've been through in your life and the impact cancer has had. I will be thinking of you especially all month long. Breast cancer has touched so many families. Thank you for your post, 2 years ago my best friend and sister lost her mother to the disease. It was a very difficult time for all of us. That was a really beautiful gesture to send you the picture. Gotta love the 80s. Can't wait to hear about your fun weekend! Looks like a blast already :) I'm also loving how sweet that lady was for sending you such a nice photo. Small acts of kindness are seriously wonderful! Hope you feel better soon, girlie! your post was very touching and can't wait to hear about your weekend!! I got chills reading this! Look at how cuuute they were together! LOVE Daddy Whalen in that blue! haha I am now trying to picture your dad NOW in that powder blue suit haha. I KNOW You're putting that pic of me falling in the street on here tomorrow- Party foul, which never happens to me! hahaha RIGHT. I. STILL. MISS YOU WOMAN haha. P.S. I noticed that picture is dated Dec. 3, 1983...your girl here came into this world just 18 days after that! Okay, I will admit I teared up! That was so unexpected and thoughtful - thank God for the wonderful, and sometimes random, people put in our lives!! 1 in 8... Wow. How did I not realize this?? So scary, and yet that makes me SO hopeful that a cure will be found since it touches so many families! And what a nice gesture of your mom's friend - that was really sweet of her. I work for an event planning company that puts on walks, runs, and bike rides to raise money for cancer care and awareness and the stories are so touching. Good for you for celebrating the women you have lost! P.S. Thanks for following me on Twitter! What a sweet gesture! It's such a small thing, but it means the world! I cherish pictures of my dad, who passed away when I was 13. On another note, I can't wait to hear about your weekend!! Glad you're feeling better! Enjoyed the pic!!! Made me smile to see your mom and dad like that. May have to give your dad a hard time the next occasion i see him about that hot mustache. :) ps. 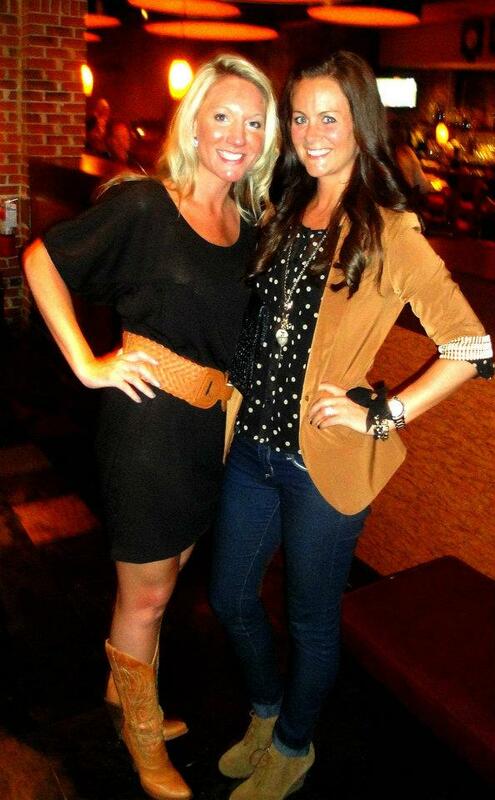 Also had an amazing time with you jess and billys fam saturday! Cant wait to do it again. I love this. 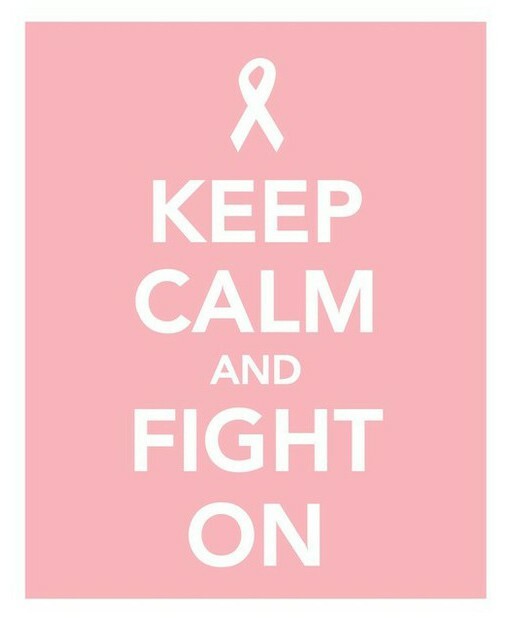 My Grandmother had breast cancer, so it means a lot! I am sorry about your mother. That is really sweet what her friend did!! :) Looks like you had a great weekend too! Can't wait to hear all about it! SUCH a touching post! I literally had tears in my eyes. How sweet is Becky for writing that little note on the back of the pic? Doesn't it just warm your heart to know there are such warm, caring people still out there in this big ol' crazy world? I LOVES you Katie gil! Hope you feel all better soon!! ..sending you healthy vibes! I know you're chomping at the bit to go run! your parents are so sweet! love that photo of them! aww I miss our moms and aunts!! I can relate to losing a parent. I lost my dad in September 1999, when I was only 13 years old.